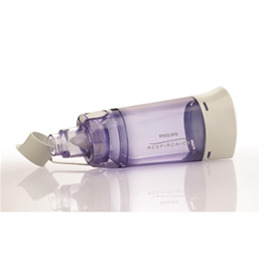 The OptiChamber Diamond valved holding chamber (VHC) is smaller than most conventional VHC’s and incorporates a stepped mouthpiece, a clear, anti-static chamber, and a low resistance expiratory valve that helps measure breath count and breath hold. 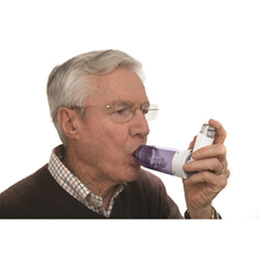 For use with inhaled steroids, as well as long-acting and rescue pressurized metered dose inhaler (pMDI) medications, OptiChamber Diamond’s intuitive design enhances medication delivery and compliance for patients of all ages, at home or in the hospital. 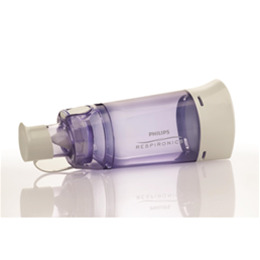 Designed for ease of use and to support compliance, OptiChamber Diamond’s mouthpiece and anti-static VHC potentially allow more respirable drug to be delivered to the patient than with a pMDI alone. OptiChamber Diamond is paired with the detachable LiteTouch VHC mask which is designed to provide comfort and an optimal facial seal. The mask uses a unique design that molds a clear, hard shell to an exclusive soft-seal interface that contours to the face with a minumum amount of pressure to promote aerosol therapy comfort and compliance.